Waterford FC is delighted to announce details of our Academy teams for the 2019 season. This year, the club will participate in the Under-13, Under-15, Under-17 and Under-19 National League which begin this month. Over the past months, assessments have taken place and squad have now been finalised by all management staff and we’re delighted to reveal them. Callum Geoghegan (Evergreen AFC), Conor Tobin (Waterford Bohemians), James O’Neill (Evergreen), Shayne McDonald (Cloughbawn), Mark Calugar (Freebooters AFC), Adam Coyne (Freebooters AFC), Darragh Doyle (Bridge United), Franny Ward (Deen Celtic), Tyler Nolan (Thomastown United), Sean Keane (Southend United), Adam Quelly (Southend United), Jason Healy (Southend United), Romeo Akachukwu (Ferrybank AFC), David Leavy ( Water ford Bohemians), Eoin Hogan (Carrick United), Callum Costello (Carrick United), Mickey Carroll (Villa FC), Artem Izhko (Peake Villa), Daniel McGrath (Forth Celtic). 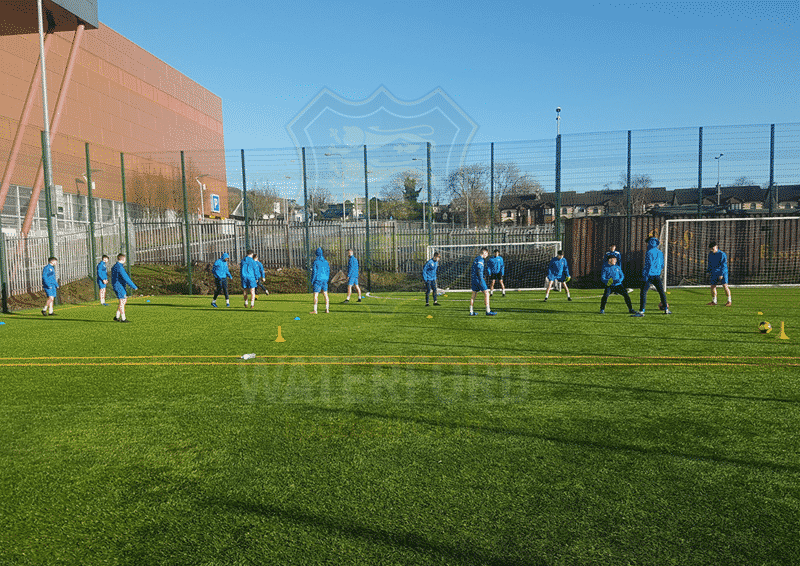 Waterford FC U17 squad has been finalized and are back in training ahead of the 2019 League of Ireland campaign. This group have been working hard under the management team of Conor Coad and Shane Nolan in preparation for the upcoming season which begins on March 2nd at home against UCD. Still underage from last year’s U17 group are Tega Agberhiere, Ethan Flynn, Donal Porter, Cian Browne and Kyle Cuddy. These players have a year’s experience at Under-17 level under their belts and will be looking to kick on and make a big impression this coming season. Exciting prospects Scott Delahunty and Sam Morrissey were promoted from our Under-15 squad to the Under-17 squad halfway through last season. Moving up also from last year’s Under-15 squad are James Donnelly, Jack Deegan, Lekan Oki, Abel Alabi, Dean Larkin, Liam Kervick and Charlie Binions. We are delighted to welcome back Seán Maher and Killian Griffin to the club, who both played with Waterford FC as Under-15s in 2017. New additions to the club this year are Dylan Butler and Ivan Homoki, who join from Villa FC, and Alan Dunwoody and Kian Carey, both from Dungarvan United. These lads have all have excelled and developed at their local clubs and are looking forward to testing themselves now at a higher level. Derek O’Brien, Derek Browne and Brendan White continue to work with the club at Under-15 level. The Under-15s have added lots of new players while holding on to four from last season. “We are looking forward to the start of the season. The lads are in two weeks now and have really mixed well together and the standard and tempo of the sessions is improving each day so that’s great to see,”manager Derek O’Brien said. Conor Cummins, Conor Martin (St Michael’s), Sam Carmody (St Michael’s), Eugene Tipa (Ferrybank AFC), Hugh Munro (Villa FC), Ciaran Hodanu, Ryan Walsh ( Tramore AFC), Alex Kelleher, Anthony Adenopo (Southend United), Mark Imiren (Ferrybank AFC), Cillian Kelly, Kian Dunne (Evergreen), Darragh Queally, Sultan Adenekan (Ferrybank AFC), Conor Fennell (Villa FC), Tony Ebhonayue (Villa FC), Ted Dunne (Highway). Head of Youth Development Gary Hunt steps up to manage the club’s Under-19 team this season. Gary has been involved with the club’s U17s over the last few seasons. He’ll be assisted by Craig ‘Rocky’ Maher for the 2019 season. “Myself and Rocky are really happy with the squad we have put together for the 2019 season. 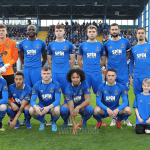 With this being the final step before first team football it was important that the lads were aware of the importance to being part of Waterford FC at this level, many of which have been part of the club for a few years now,” Gary says. The U19 squad have retained 17 players from last season’s U17 and U19 squads and have made four new signing who we are delighted to offer them the opportunity to play at this level. Kallum Broaders returns after commitments mid-season last year saw his season cut short. Adham Masood impressed and we were delighted when he wanted to come on board. He will give us something different in those attacking positions. Danny Reynolds from Dungarvan is a versatile players who can play in several positions and has a fantastic left foot. Finally, Oisin Griffin has come in and again the U19 management were delighted to be in a position to offer him the opportunity as he has been very close the last couple of seasons. 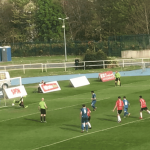 He has gained some excellent experiences playing premier football with Ferrybank. Ben Kirwan, Charlie Heffernan, Darragh Power, Kallum Broaders, Cameron Power, Sam Dwyer, Oisin Griffin, Reece Murphy, Greg Waters, Darryl Walsh, Niall O’Keefe, Dean Beresford, Cian Foley, Jack O’Donnell, Danny Reynolds, Jack Larkin, Adham Masood, Regix Madika, Mike Nzongong, Alex Phelan, Colm Whelan.